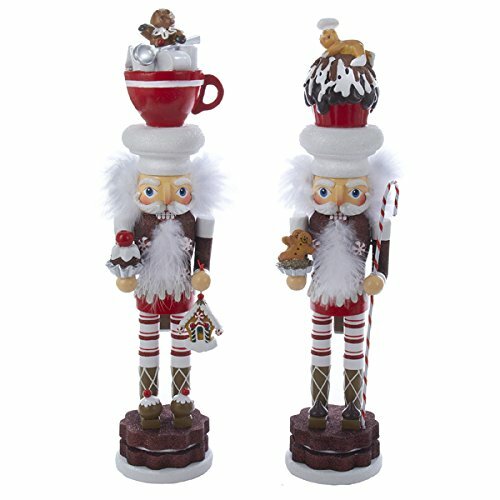 Accented with cocoa and cupcake hats, these nutcrackers are perfect with anyone with a sweet tooth. A set comes with two assorted nutcrackers. Nutcracker assortment is in Kurt Adler's Hollywood Nutcracker Collection. Assortment of nutcrackers makes you want hot cocoa and a cupcake!